André here. I’ve been requesting to watch Birdman for, oh, roughly three years, and I finally got my wish. All it took was turning 28 and having my one movie-related wish granted by this fine establishment. Why would he want to rewatch Birdman, you ask yourself? Well, I’m one of the few people who a) actually watched Birdman and b) liked it. I think it’s pretty much just me and the 2015 Academy (and 91% of critics on Rotten Tomatoes). It’s one of the handfuls of movies I’ve watched where I knew I was seeing something special and one-of-a-kind as I watched it. As long as I’m throwing out controversial opinions that the Academy agrees with me on, the last movie that made me feel that way was La La Land. Don’t @ me. Alright, all my controversial opinions out of the way. Let’s get into the meal. Those of you who have been following us for years may remember that we watched Batman Returns, with Michael Keaton, back when Batman vs Superman came out. Birdman has this interesting meta-textual story in part because it is heavily influenced by Michael Keaton’s life after his Batman acclaim. Perfect for us because we can follow that same line of thought and craft a meal influenced by our previous post. The twist is that this meal takes place in the alternate universe where Batman didn’t exist but Birdman did, and all of our dishes are inspired by the Bird. 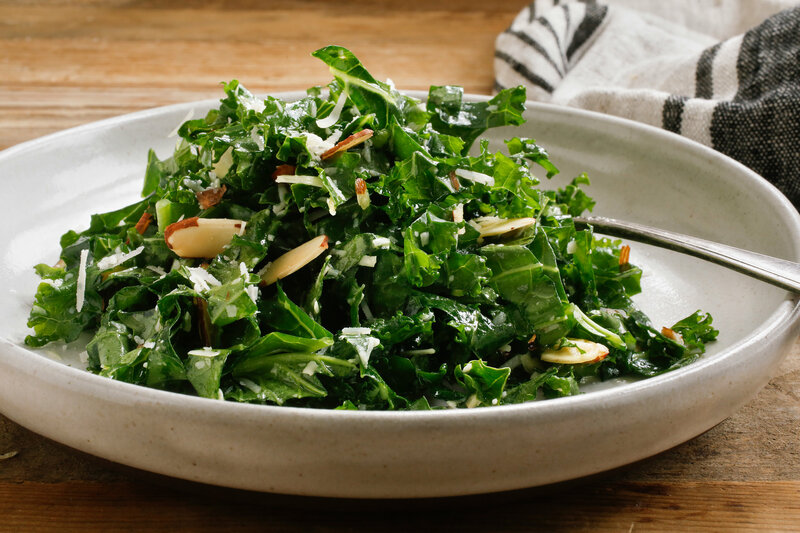 We started off with a lemon-garlic kale salad. After all, superheroes need to get their superfoods in, right? We also made some croutons, fried in bacon fat, because you have to have something tasty to look forward to in a salad. We also put some shredded buttermilk roasted chicken in, because BIRDs. Next, we made chicken ravioli with sun-dried tomato sauce. 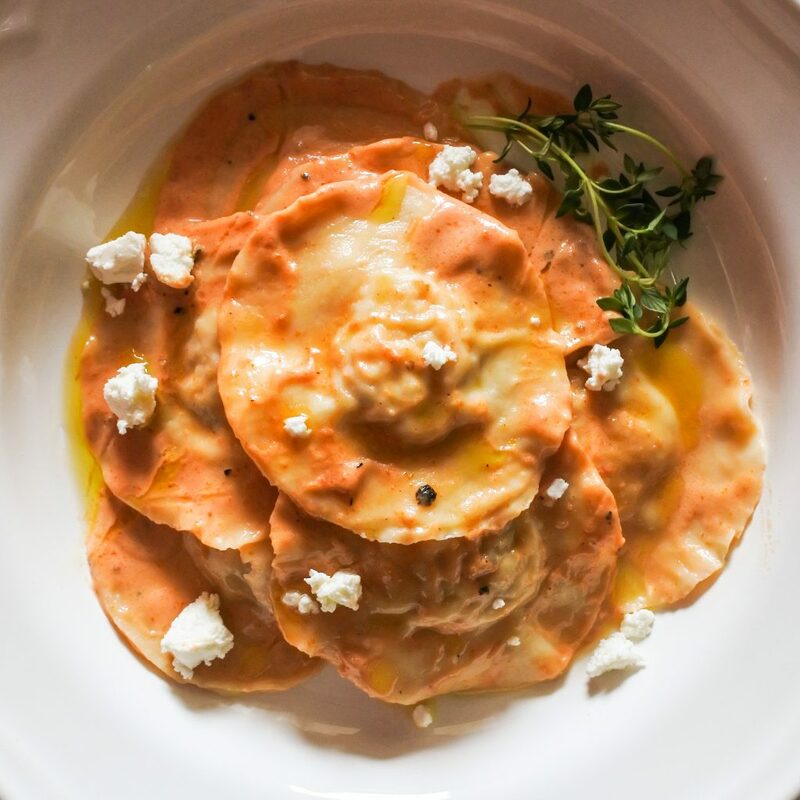 When we made ravioli last time, we thought of the structure of ravioli as an analogy for the body of a superhero: costumed and presentable on the outside, but soft and squishy on the inside. Although we made ravioli again, I think the analogy is slightly different this time. In Birdman, Michael Keaton tries to present himself as one thing, but he has the bird (or chicken ravioli filling) inside of him, telling him what to do. For the drink, it felt necessary to include the many parts of a bird and eggs are so distinct to the aviary species that we had to do something with egg whites. So, we did a twist on the Manhattan we made last time. This time, we made a New York Sour. Like the movie, it was tart, but complex and interesting. We closed out with a fragile soufflé, meant to capture the tenuousness of the human body. To keep with the theme and build upon what we did last time, we added a homemade duck fat caramel sauce on top which was absolutely delectable. The only downside was that we had to buy a big jar of duck fat, and I don’t know what to use the rest of it for. If you have ideas, let us know on Twitter. What else do I have to say about Birdman? I suppose I could try to explain what I like about it, but that’s tough. I think the movie, at its very core, is meant to be inexplicable. We open with Michael Keaton meditating in his underwear, floating three feet above the ground. The movie then goes on in a more realistic fashion, and you’re taken along for the ride. The persistent percussion and lack of cuts keeps you on the edge of your seat. Not once does it give you permission to take a break and try to work out what’s going on. (Spoilers start now.) Once you’ve forgotten about the meditating, the magical realism comes back with a vengeance, with extended scenes of Keaton flying above the city or talking to his Birdman alter-ego. The movie only gets more fantastic from there on, and famously ends with a scene that leaves you scratching your head and asking yourself, “… What?” After some research, it seems like there isn’t a director-endorsed meaning to the ending, reinforcing my idea that it is inexplicable to its core. Interpretations are entirely left up to the individual audience member. Personally, I think he did indeed die when he shot himself on stage and everything that happens in the hospital is imagined. He pictures himself finally getting everything he wanted, but somehow none of it left him feeling better, and he realizes he is incapable of being happy. Yeah. It’s not a feel-good movie by any means, but that doesn’t stop it from being an incredible work of art. On top of everything else, we got some great performances from Michael Keaton, Edward Norton, Zach Galifianakis, and Emma Stone (Is it controversial to say I think Emma Stone is a truly great actress? If so, that bothers me. She’s amazing.). I’m convinced Birdman deserved all the awards and recognition it received, and I’m glad I finally got to watch it for the blog! André: Still one of my favorites. Yes, I love this extremely depressing, confusing, and anxiety-inducing movie. I’ve tried to express why, but I don’t know if I did any better job at explaining myself than Birdman did. Take what you will from that. Leanna: I did not enjoy seeing this film a second time. I think I had a slightly more positive experience the first time I watched Birdman because of the novelty of the shooting style and all of the inexplicable things that happen that keep throwing you off. The second time, knowing what was coming, I was able to focus on different things. Ultimately I felt bored, I did not like the way the female characters were written, and laughed a lot less. Happy birthday, André! I’m never watching this again! Ben: 60%. Birdman is a frustrating and, also, a polarizing movie (fortunately, not for something like how it treats race). Everything surrounding it is interesting: How it hints and references Hollywood and its trends, dealing with celebrity after it has passed beyond the public consciousness, and the daring approach to make it all seem as if it was shot in one take (minus the shifts in time which always breaks the illusion). But when you are actually immersed in all of this, the end result is a chaotic experience. It likes to wax poetic about “Art” in the grandest sense, without really saying anything concrete. You should feel guided to applaud and be taken by it because “Dammit that actor and director put everything on that stage, they died on that stage. Art is pain, and criticism of Art is craven has no place.” But rarely does talking about Art in the grandest sense lead to actually interesting Art.